FRISCO – The Dallas Cowboys—in partnership with a fitness developer—plans to open a new fitness facility in The Star in Frisco. 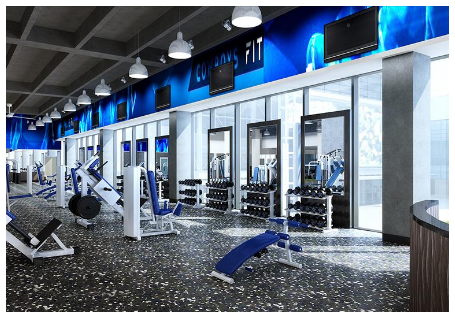 The three-story, 60,000-sf facility, called Cowboys Fit, will feature a gym experience catering to NFL fans. It showcases a training staff of former league players and cheerleaders and the team's technology to help members have an advantage in obtaining their fitness goals. It will also have equipment used by the Cowboys players and programs to help North Texans become healthier. For an individual membership, Cowboys Fit begins at $68 per month, with a $49 fee. Cowboys Fit—which will include a 2,000-sf Nike Pro Shop and Fans United team store—is slated to open in February 2017. ​Explore Dallas-Fort Worth Retail Market Research where you might find some 'weighty' data.